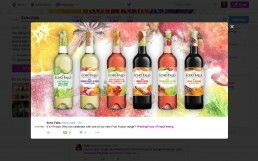 I was given the task of creating graphic illustrations to promote Echo Falls’ exciting new range of fusion wines. 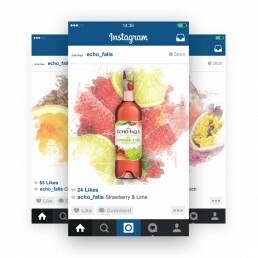 The images were to be used on their social media, it was essential that they were vibrant and colourful to stand out to their target audience. The images were created to be watercoloured as this linked with the product being wine. They had a selection of choices with the images; full colour background, bordered and centered. Each wine had their separate image and then an image representing all of them together.